We didn't get the Blizzard of the Century they were predicting, but the sub-zero temps with bone-numbing windchills have not let up. This week was almost a total washout, so I am not going to do my usual day by day recap. The new schedule around my job is still leaving me in a quandry about where to find time for bloggy things, and still do housework and cook meals for myself and my son. As you can see there has been no blog activity here since my last The Sunday Post. I also did not finish The Raven Boys and was asked about the availability of my guest review, today. I did not post a TELL ME TUESDAY, but I have a new feature follower, Elizabeth from So Long... & Thanks For All The Fish. You can read her TMT post, HERE. We started a wonderful little discussion about Children's chapter books because she is a nanny. I was reminded that I wanted to do an international book giveaway, for my next blog contest, using this online company that gives to charity. This archieved post, The Not So Literary Heiresses tweeted about, is what poked my brain about it, HERE. I only got to the first handful of links on last week's Sunday feature, but I did manage to return comment for everyone who commented here. I will be visiting more of you this week, and will comment on both Sundays' posts if I didn't get to you last week. PRE-ORDERS: My order of Breaker by Emma Raveling popped up on my Kindle carousel at midnight on Tuesday/Wednesday. I have the entire series of this Paranomal YA Romance because between free tour book specials, and 99¢ deals, I puchased all four titles, plus an enovella, for $1.98 total. I like having some light reading for waiting rooms, and bus riding environments where you get interupted a lot. It think the Ondine quartet as an ebundle is still only $5.99. EBOOK DEALS: I bought The Fault in Our Stars for $2.99. I rarely read Contemporary YA, and when I do it is usually a review book, but so many people have told me to read this I thought it was about time (I have not seen the movie either). I pre-ordered The Sin Eater's Daughter for $2.99. AUDIOBOOKS: I bought War and Peace (61 hours) with one of my special $1.00 Audible credits. I am also going to use my last special credit to purchase Ulysses (42 hours). I figured I would never have the reading stamina to get through these, but have always wanted to read them, so listening to them seems the next best thing. Talk about a lot of book bang for my buck! EDELWEISS: As I mentioned, I was approved for the eARC of Invasion of the Tearling! I was so scared that I had been declined when the email notification showed up in my inbox, I made my son open it and read it. I even cried a little. Now if I can get approved for Of Delicate Pieces, the sequel to Of Breakable Things, I will have all four of my 2015 top four most anticipateds coming as ARCs. Also, I must have hit some kind of mark because after requesting many, many books at a time on EW, due to only being approved for maybe one in ten, I was approved for SIX in one week, yikes! Good thing they were all recipe books with the exception of a book on stones my son is going to read and review. NETGALLEY: I caved and downloaded another Read Now, Seeker. I probably won't have time to read it before it publishes, but there have been too many times I have not gotten a Read Now and was sorry later. I also loaded a book of Victorian Fairy Tales and an Amish cookbook that were Read Nows. The "Authentic" Amish Cookbook was almost awful. I was also request approved for The Glittering World. GIVEAWAYS: There are still three more days left on my Black Raven Tea Giveaway, and only four entrants, so your odds are good if you still enter, HERE. And until midnight Sunday (today) left for my valentine, swag, tea, handmade bookmark giveaway, HERE. PERSUASION, the sequel to Compulsion, cover reveal on Thursday. What is your dream ARC for this year? MONDAY: I started a new job, so nothing bookish got done other than finishing Compulsion in the wee hours of the morning because I couldn't put it down during the last 20%. TUESDAY: I posted a TELL ME TUESDAY. 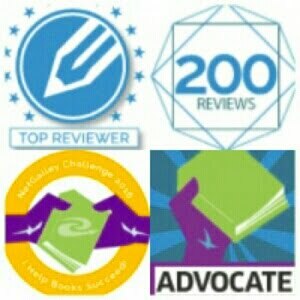 I was also aproved for two Month9 Books review eARCs, for the very first time! I have been requesting review books from them for about six months, with zero approvals, so it was a nice surprise. WEDNESDAY: There was no Whatever Wednesday post because I was reading during my spare moments and didn't get a chance to put the finishing touches on it. B.W.O. THURSDAY: I read this wonderfull blog post about the books Elizabeth, at So Long... and Thanks For All the Fish, felt shaped her life growing up, HERE. It gave me an idea for a post on how the Harry Potter books shaped our family life while my son was growing up. I might also do a post about how the book Heidi impacted my character as a child. FRIDAY: Did some blog visiting and comment replys; then read The Raven Boys. Lori M. Lee, the author of Gates of Thread and Stone, posted the link to this article on Twitter. It is hilarious! HOW TO TELL IF YOU ARE IN A HIGH FANTASY NOVEL. I post an #FF for my top five favorite YA authors every Friday on Twitter and I include a writing quote with it for them. I loved the one I found for last Friday. It also made me look into the author the quote was from, and I ended up buying the audiobook of The Thirteenth Tale. On Tuesday I received a beautiful hard cover of The Raven Boys from Amanda at Of Spectacles and Books. She sent it to me in exchange for a guest review on her blog. It matches the HC of Blue Lily, Lily Blue, I won. Now I need to find someone who wants to trade for a HC of The Dream Theives. On Wednesday I found a free edition of The Time Machine that had a FREE add-on narration, HERE. If you only want the 49¢ audiobook, you can find that, HERE. On Saturday I bought the audiobook of The Thirteenth Tale after looking into the author of the above #FF quote. I know I am on a book buying ban, but it was only $6.95 and I didn't know how long it would be that price. If you want to check out her writing style first, her short story The Princess and the Pea is a FREE EBOOK. MONTH9 BOOKS: I received eARCs of Lucas Mackenzie and the London Midnight Ghost Show and The Perilous Journey of the Not-So-Innocuous Girl for review. NETGALLEY: Shadow Scale, the sequel to Seraphina, was a Read Now on Thursday. If you want it you should go check to see if it is still there. 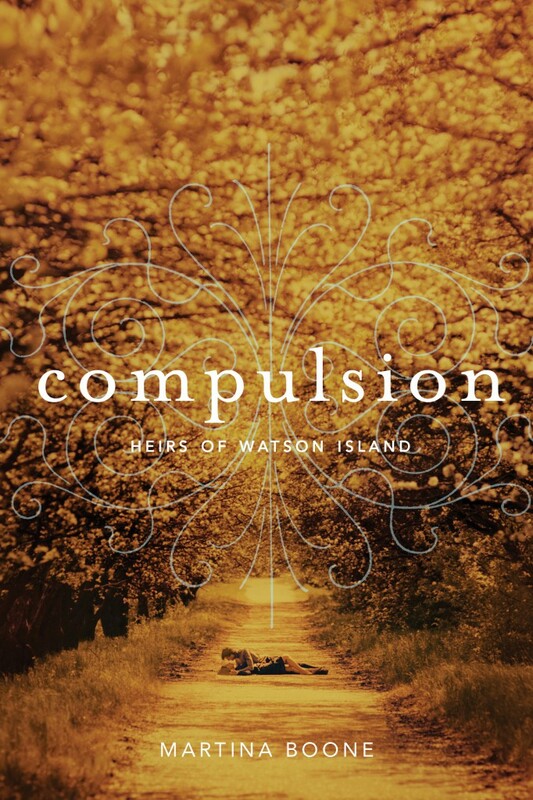 I will be working on my blog review for Compulsion. 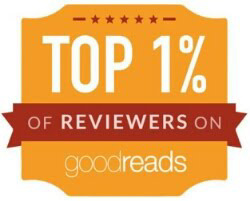 I will also be working on my guest post review of The Raven Boys for Of Spectacles and Books. My Whatever Wednesday will be the story about my son's pineapple pants, as requested by Cait at Paper Fury. I also think I am going to start drafting that Harry Potter tribute idea. There will also be a new Kookies and Milk post up on my Children's book blog at some point. Is anyone planning on doing any special Black History Month posts in February? TELL ME TUESDAY is a feature that oozed from the fried brains of myself and my best blogging buddy, after a mind twisting Armchair BEA Twitter party. It is a weekly, or bi-weekly feature (depending on your reading style), where you tell us what you are reading now, and why, and what you will be reading in the future from your tbr pile, and why. I am oh so curious why people read what they read. So tell us!! My faithful feature follower is Pili from IN LOVE with HANDMADE, so make sure to visit and tell her, too! I finished reading Compulsion by Martina Boone in the wee hours of the morning today. The ending was action packed and I could not put it down. But now I am in a quandry. I have The Raven Boys coming from Amanda at Of Spectacles and Books, to read for a guest review; it is supposed to be here today, but you know USPS. Therefore I don't know whether to start reading another book or wait. I guess I could read a children's chapter book. If you would like to receive a book from Amanda in return for a guest review, run on over and send her an email to see what novels she has left. UPDATE: My beautiful hardcover copy of The Raven Boys arrived (and it matches the HC of Blue Lily, Lily Blue I won perfectly, now to see if I can trade someething for an HC of The Dream Theives) from Amanda, and I am going to start reading it straight away! 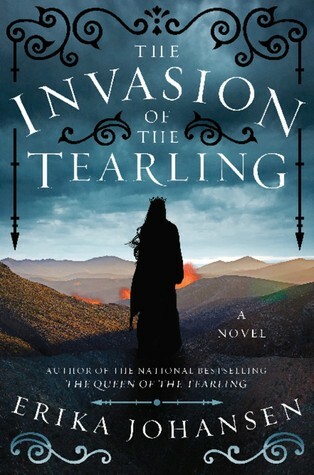 After reading The Raven Boys I am hoping to read one of my top four most anticipated in 2014, THE INVASION OF THE TEARLING!!!! I found out on The Eater of Books - Stacking the Shelves post, that the sequel to Queen of the Tearling was up on Edelweiss. I had been checking EW everyday after the cover was released on Goodreads, and it figures I would take a break THE DAY BEFORE IT WENT UP!!!! What books are you excited for in 2015? THE SUNDAY POST is a weekly feature hosted by Kimba at the Caffinated Book Reviewer (I have no idea why Blogger did that when I added the link). It is a chance to recap the previous week, share news, showcase books and/or bookish things we have received, and tell about what is coming up on our blog in the next week. You can view the rules, HERE. MONDAY: A veteran blogger, Anna Reads, left book blogging behind on Monday because of all of the commercialism, and competition that has shrouded our community lately. She wrote a Tumblr post about it and I was going to add the link, but she seems to have taken it down. Later that day, I had an example of what all of this carnival barking has done to our corner of the blogosphere when I tried asking bloggers on Twitter if they had read this certain book. 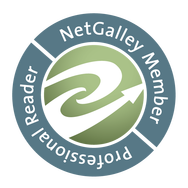 I had received an email about a Read Now eARC on Netgalley, but it was being published in only two days. I asked if anyone had read it, and many of the bloggers acted annoyed at first, until I explained that I only wanted to know if it was worth trying to get it read in such a quick turn around. I think they thought I was going to try and hype the book to them. I was upset because most of them should have known that was not what I am about. MONDAY POST- Cover reveal of The Infinite. View, HERE. TUESDAY: My feature Tell Me Tuesday. View, HERE. WEDNESDAY: New "NON" feature... Whatever Wednesday, HERE. THURSDAY: Sent out two Twitter RT giveaway prizes: Belzar ARC and The Jewel ARC. FRIDAY: Did some catching up with commenting on others' blog posts and stumbled upon a tag that I want to do (and I usually loathe tags). 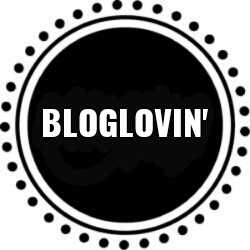 SATURDAY: I worked on my personal blog because I want to start posting to it more. NEXT WEEK: I will be posting the book tag I found and doing my usual Tell Me Tuesday and The Sunday Post. I don't know what my Whatever Wednsday meme will be yet. I should be getting my copy of The Raven Boys from Of Spectacles and Books on Tuesday for my guest review on her blog. She is giving away books in return for guest reviews, so if you are interested shoot on over there and send her an email to see what books she has left. I should also be getting a review of Compulsion up because I am at 75% right now. AUDIBLE- Brown Girl Dreaming w/ Audible credit from a three months for $3 Amazon deal. GOODREADS FIRST READS PRIZE- Vitamins: Our Obsessive Quest for Nutritional Perfection. 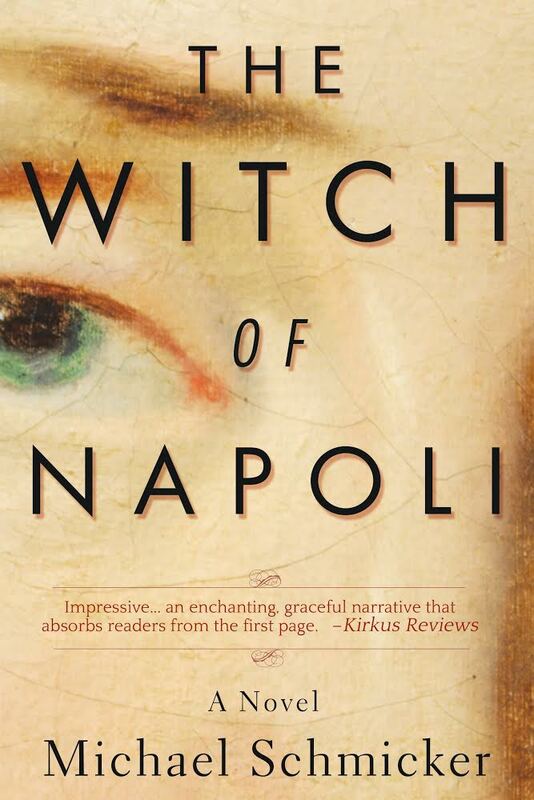 NETGALLEY- The Witch of Napoli ebook. It is described as Adult Historical Fiction with a paranormal twist. It was a Read Now. *I am on a book buying ban, so there were no purchases. 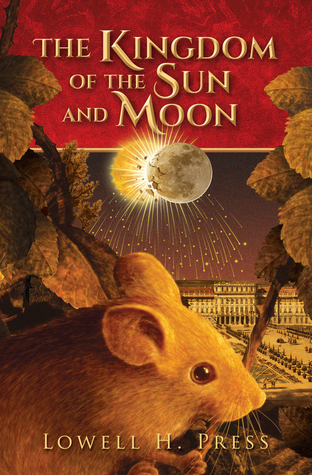 Ha ha, but after I wrote that I bought a 99¢ book, The Kingdom of the Sun and Moon because I loved the cover (I am a sucker for cute little mice every time). From the Heart valentine + swag + handmade bookmark, HERE. Do you listen to many audiobooks? Brown Girl Dreaming will be my first. And a big shout-out to my one and only feature follower, Pili from IN LOVE WITH HANDMADE. Right now I am reading COMPULSION by Martina Boone. 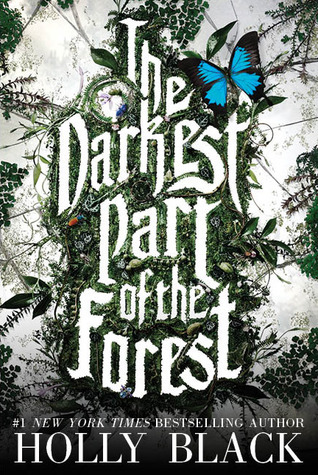 This YA Paranormal is so good it makes me want to go to Goodreads and take away stars from some of the other Para YAs I have read. I love it so much I am going to join the street team to pass the word (and some goodies) around. I should be finished today. I saw this next book pop up in a Netgalley email as a Read Now. The Witch of Napoli. It is an Adult book and I try to have an Adult novel going most of the time. The synopsis made it sound wonderful. However, the publishing date is in two days. I was asking around Twitter if anyone had read it to feel out whether it was worth my time to turn it over that quickly. No one had, but I am going to give it whirl anyway. I will also be reading The Raven Boys, soon. Amanda, at Of Spectacles and Books, is giving away books in return for guest reviews. You should go check out her blog and email her to find out what books are still available! Do you read many adult books? THE INFINITE COVER IS STELLAR! 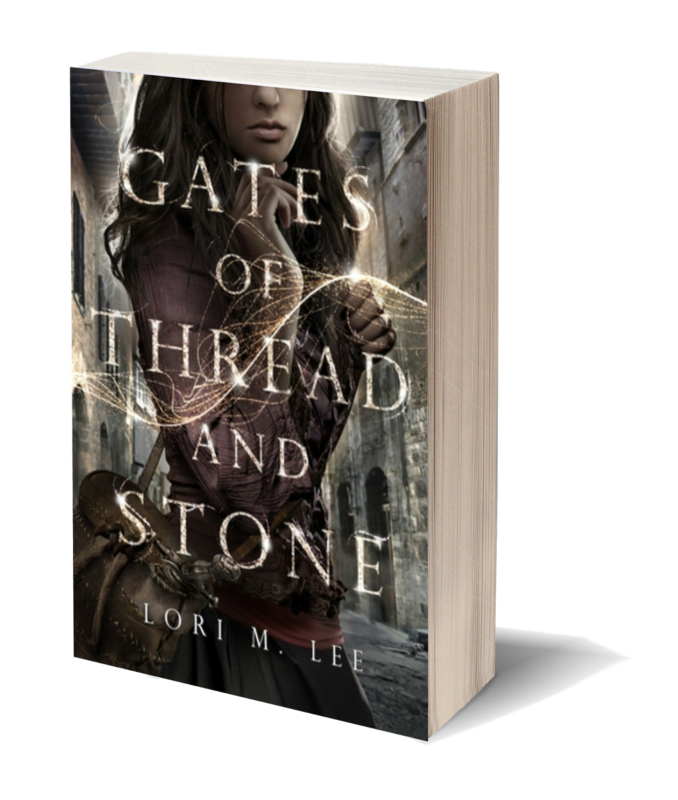 You can view my FIVE STAR review of GATES OF THREAD AND STONE, HERE. Typing the title makes me want to do a reread right this very second! The Infinite comes out March 10th, 2015. Which reminds me, I have to start a Spring Reads Shelf on Goodreads!